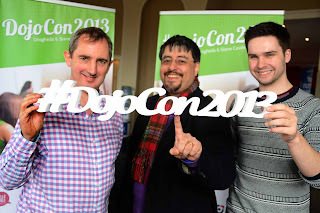 CoderDojo held its 2nd annual mentor conference, DojoCon2013 in Drogheda and Slane Castle on 12th and 13th April. This year, over 220 attendees from around the globe gathered to exchange proven ideas for growing the international movement. This year's conference theme was 'Growing & Sustaining the Global Movement'. The intention was to get as many mentors together to listen to each other, exchange ideas and create methods of future collaboration. In just over 2 years, CoderDojo, the coding club for young people aged 7-17, has over 180 clubs over the world. Every Saturday, there are dojos from Dublin to New York; Glasgow to Melbourne with over 16,000 children learning to code. During the two days, it became clear that there were five key take-aways. These include the need for more mentors, more dojos, more female involvement, more parental involvement and a greater need to share content between the dojos. “The feedback from the conference was that of excitement, inspiration and ideas to make every individual dojo a success. Above all, it was one of togetherness. There is a huge amount of goodwill around CoderDojo by the mentors and parents. Everyone is committed to growing it into an organisation that sustains itself and fulfils the appetite that exists for CoderDojo.” said Paul Browne, one of the organisers of DojoCon 2013 and a mentor in Drogheda Dojo. James Crook, another one of the organisers of DojoCon2013 and mentor in Science Gallery Dojo takes up this point of parental involvement. “Some parents feel that feel that because they aren't IT professionals, they can't help. But I say to them that they can help in any way. Just as they help their kids do homework on subjects that they have seen in 20 odd years, they can help their child with programming by following our advice. Many of the speakers spoke about the latest in technology, with experts sharing their expertise on using robotics, electronics, motion sensors, computer languages such as Advanced Scratch. These forms of technology inspire mentor's interest and passion which drives the children to learn more. In addition to the formal speaker programme, a dojo was held in the Castle. Children from local dojos were invited to attend and the Dojo 'sold out' within 11 minutes. Young people got to meet their own rockstars, James Whelton and Bill Liao, who spent time seeing what the children and young adults were creating. 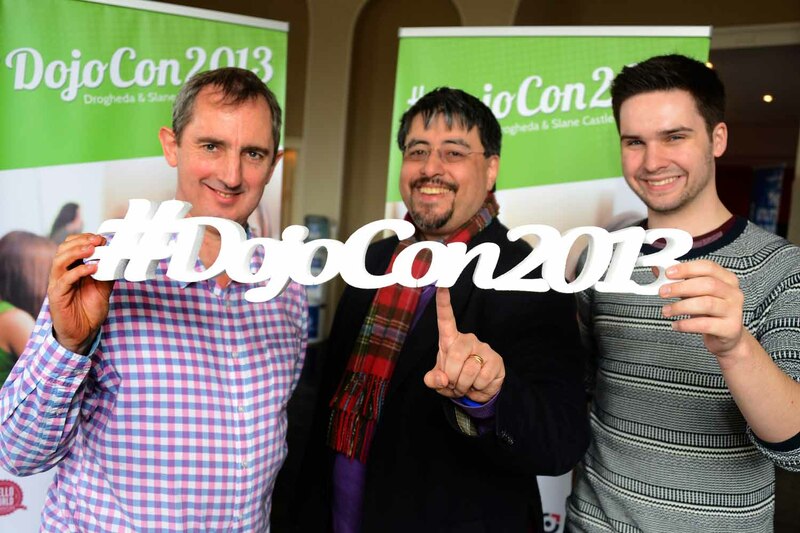 The DojoCon 2013 was organised by CoderDojo volunteers from Drogheda, Dundalk, Dublin, Limerick and Navan. They are so committed to the success of CoderDojo and DojoCon 2013 that they have given their time voluntarily for the past 6 months. They would like to thank the many sponsors involved including Hello World Foundation, RTE Digital, Louth County Enterprise Board, DKIT, Drogheda on the Boyne, Meath County Council, Enterprise Ireland, GitHub, Coca-Cola, Intact Software, Fitz Scientific and Lord Henry of Slane Castle. They would also like to thank the many supporters who gave their professional expertise and service voluntarily.